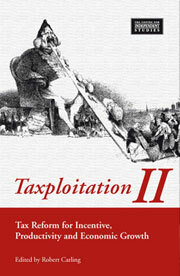 This volume brings together papers on different aspects of tax reform published by the CIS over the past five years. In part, these papers review developments in tax reform since the publication of a similar volume – Taxploitation – by the CIS in 2006. The general finding is that against the benchmark set by the reform ideas advanced in Taxploitation, progress has been very disappointing. While Taxploitation focused on personal income tax,Taxploitation II puts forward ideas for far-reaching reforms in a range of, including not only personal income tax but also company tax and a number of State taxes. These reforms are designed to reorient the tax system towards stronger incentive and growth, and to support a move to smaller government.